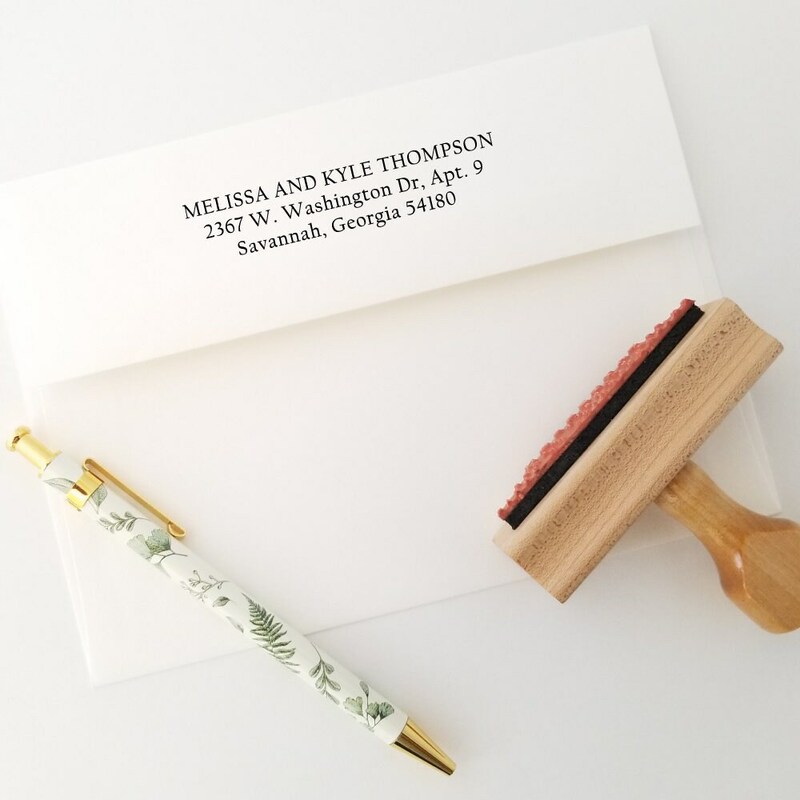 This 3-line address name stamp is great for marking your return address on wedding envelopes. 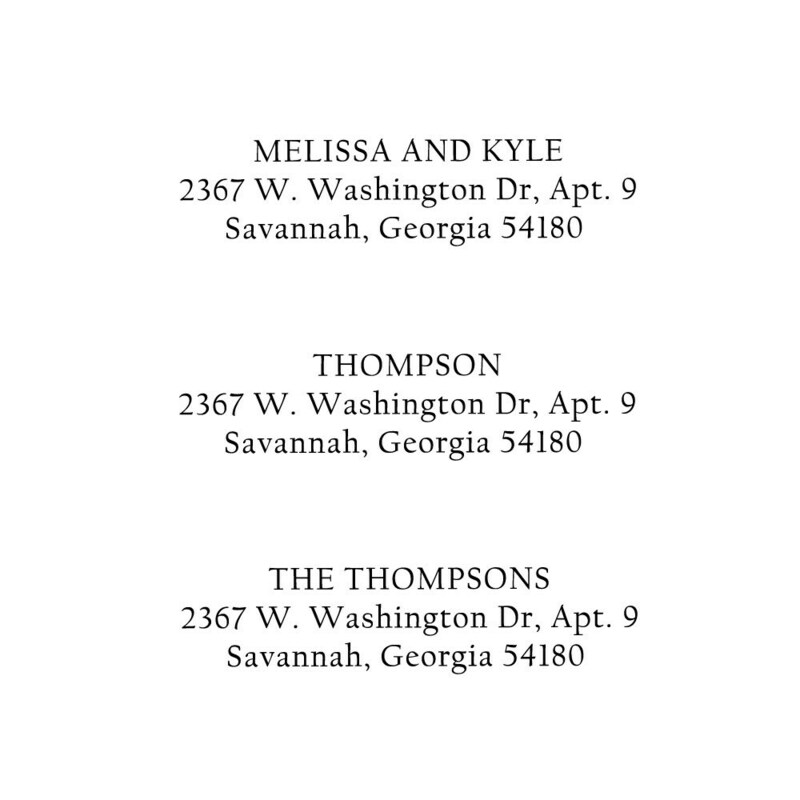 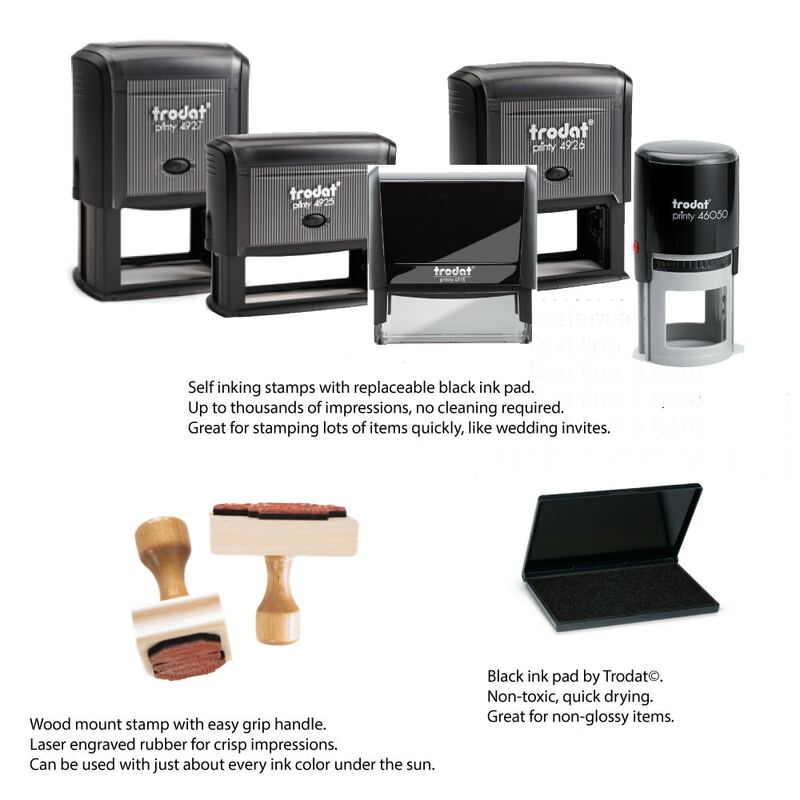 Size up to 0.53"h x 2.5"w. We'll personalize your stamp in the fonts and layout as shown. 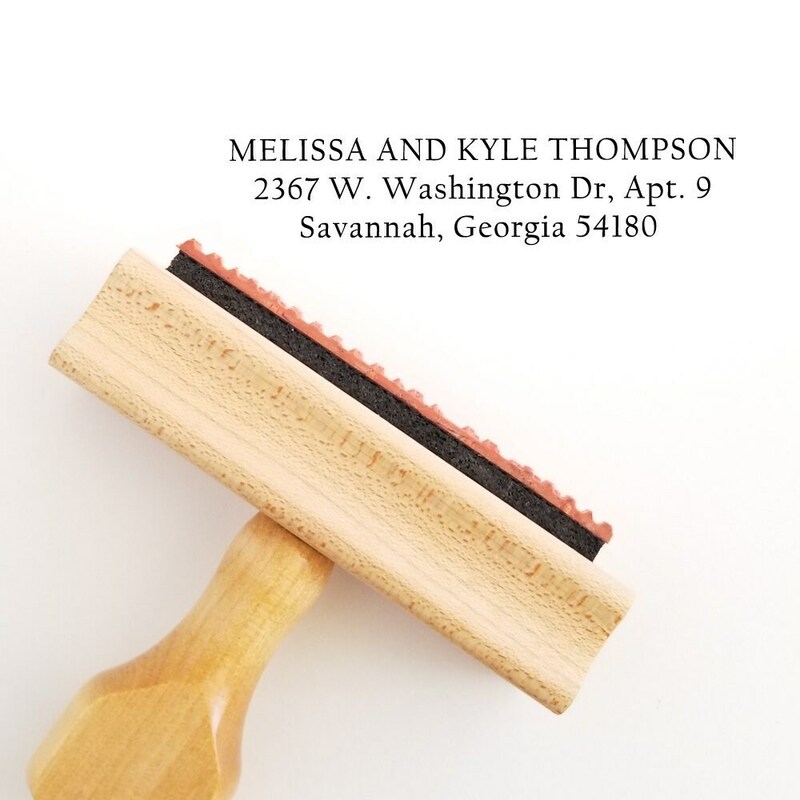 Perfect present for newly engaged couples.